A sandal from Mario Valentino's latest collection: the heel is an unprecedented 12 cm. 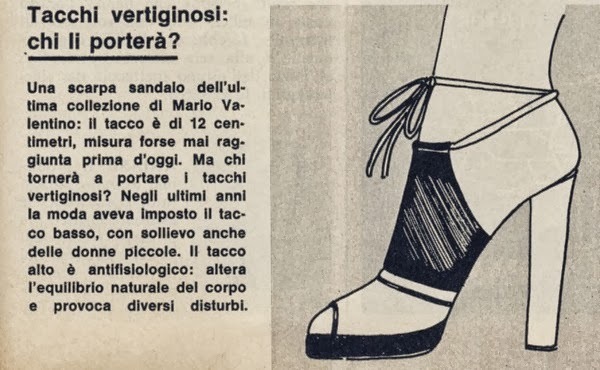 But who will wear such heels? In recent years, the fashion imposed a low heel, to the relief of short women. The high heel is anti physiological: it alters the natural balance of the body and causes various ailments. Who will wear such heels?? After one such Friday, I left Paris with no extra money in my purse. I picked up my prepaid ticket for the train to Milan from the Gare du Nord and went straight to work with Alfa (Castaldi). 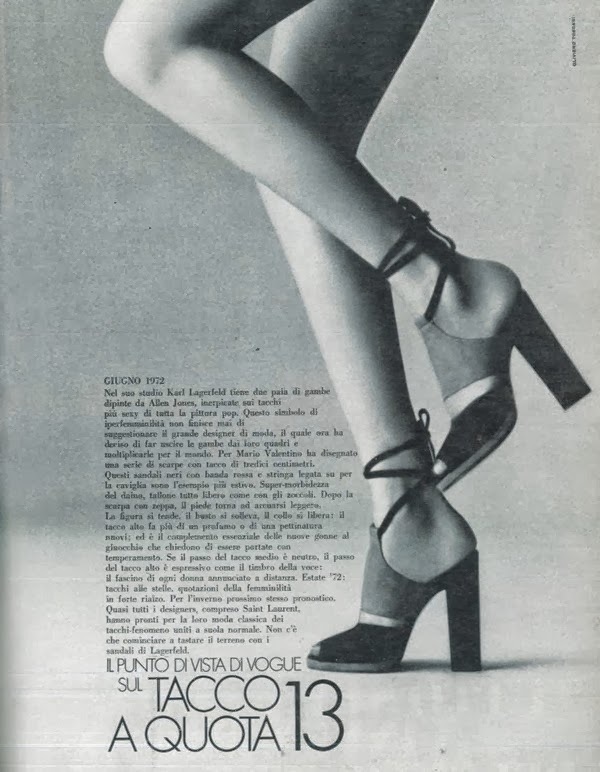 It was a long day, and as a sweet gesture, the designer Mario Valentino gave me a pair of shoes I’d admired, with six-inch silver heels, which I put on immediately. I was to collect my fee from the Milan agency that night in cash, and go directly back to Paris.